The Russian president may provide a boost for his embattled Serbian counterpart in the short run, but beyond that the roles of the US, EU and China will be more decisive. Serbian President Aleksandar Vučić will receive his Russian counterpart Vladimir Putin in Belgrade on January 17th. Mr Vučić is hoping for support from Mr Putin, at a time of increasing protests against the government in Serbia. The Serbian president is, however, playing a dangerous game. There are several examples of leaders in other CESEE countries turning to Mr Putin at times of crisis, and it rarely ends well for them. The visit of Mr Putin may well shore up Mr Vučić’s position in the short run, especially as the EU and US appear less engaged in the region at present. Beyond that though, the big decisions will be more influenced by the EU, the US and China. The latter is playing an ever more important role in the region in general and Serbia in particular. There are politicians in the Western Balkans who have come to power with Western, US and EU, support, and try to stay in power with Russian President Vladimir Putin’s support. Milorad Dodik, who runs Republika Srpska in Bosnia and Herzegovina, is one successful, so far, example. Aleksandar Vučić, the President of Serbia, is attempting the same. Mr Putin is due to visit Serbia on January 17th. Everybody, opposition included, is waiting for his arrival with great expectations. Mr Putin’s record, however, is not encouraging. In most cases, Mr Putin’s support, when extended, was not enough for embattled leaders to stay in power. The most important case in the Balkans is that of Vojislav Koštunica, the President of Yugoslavia (Serbia and Montenegro) and the Prime Minister of Serbia. He had strong support from the West to topple Slobodan Milošević, while Putin’s support, which he sought and received, was not enough to keep him in power after Kosovo declared independence in 2008. The most recent example is that of Nikola Gruevski, the Prime Minister of Macedonia, who came to power and stayed in charge of the country for a decade or so with the support of the United States and the EU, but lost elections and then recently fled the country (as an asylum seeker in Hungary) despite Russia’s support. A cunning counterexample is that of Milo Đukanović, the President and Prime Minister of Montenegro, who declined Mr Putin’s offer of support. He was a protégé of the US initially, and a Eurosceptic, but chose the pro-EU policy ahead of Montenegro’s secession from Serbia, and eventually led his country into membership of NATO against strong objections from Mr Putin. Montenegro is also the frontrunner candidate country for membership in the EU – which is stunning given Montenegro’s historical pro-Russian sentiment, and significant Russian investments in Montenegrin real estate and tourism. Mr Vučić is now treading the path that has led others to political defeat. Why is the support of Putin being sought and why has it been almost regularly unhelpful so far? To understand this, the Ukrainian example is instructive. Take an authoritarian leader in a presidential system, but which is nominally democratic (which is to say holds regular elections). At some point, the odds of a legitimacy crisis erupting will increase if the leader is defying the public will in one way or another – in the Ukrainian case with respect to EU integration. At that point, one option the embattled leader may choose is Mr Putin’s support. If the leader is Mr Putin’s ally to begin with, as in the case of Belarus’ Alexander Lukashenko, Mr Putin’s additional or renewed support has a good chance to be enough for the opposition to be crushed. If not, then Mr Putin’s chances of success are much lower. In the case of Viktor Yanukovych in Ukraine, as in the case of Mr Gruevski, fleeing the country proved the only option left to stay out of prison. The key lesson then is that an aspiring authoritarian leader that turns away from pro-Western policies and seeks Putin’s support to stay in power when facing a legitimacy crisis in the streets has more often than not diminishing chances of surviving in power. What is a legitimacy crisis? There is a misunderstanding, which was widely expressed during the Ukrainian crisis, that the rebellion was illegal, the president being duly and legally elected, and thus the ousting of Yanukovych from office was a putsch. In fact, the legitimacy crisis erupts if there is a conflict between the will of the people and the will of the government, the legally elected executive or Parliament. To see this, start with Weber’s distinction between Macht (power) and Herrschaft (legal authority in this case). If, for example, a president defies the will of the people, e.g. by changing policy or political institutions, the power of that will can be expressed in the streets – which is the start of the legitimacy crisis. If the president resorts to repression, then the crisis may very well have to be resolved through the conflict in the streets, as in the case of Ukraine. Then the outcome depends on the balance of power, i.e. how overwhelming is the public disapproval of the president’s policies or politics, including the use of force to suppress the revolt. In the Ukrainian case, the lack of legitimacy of Yanukovych’s actions outweighed the legality of his holding the office of the Presidency. In many other cases, governments survive the test to their legitimacy because and if they have not lost their power, i.e. the support of the majority not necessarily for their policy but for their claim to run the country, at least until the results of the regular or the early election are in. What can be learned from Mr Putin’s successes? In the Balkans, this is just Mr Dodik. He came to power with Western, and in no small part German, support. The expectation was that he would work to transform Bosnia and Herzegovina and integrate it into the EU and NATO. This did not turn out to be the case, however, and Mr Dodik has been the main proponent of the secession of Republika Srpska from Bosnia and Herzegovina, and has been able to secure Mr Putin’s support for some time now. However, though he tends to win elections, he and his government have been losing legitimacy and are facing a full-blown legitimacy crisis now. He has proved able to squash the protests by force of the police and the law at the same time relying on the support of Serbia and Russia. It is expected that Mr Putin’s support for Mr Dodik will be reinforced when he visits Serbia on the 17th of January. First, democratic legitimacy is not needed to be in power in Bosnia and Herzegovina and in Republika Srpska in particular, rather ethnic legitimacy is required. Which means that the support by Serbia for whoever is the leader of Republika Srpska is decisive. Second, every Serbian government as well as the parties in the opposition have supported Mr Dodik over the years – the aim being to show to the Serbian public that while Kosovo is lost, Serbian territorial gain in Bosnia and Herzegovina, which is Republika Srpska, is not. Mr Dodik has been arguing for quite some time that the annexation of Republika Srpska should be used as a compensation for the loss of Kosovo. Third, even if the Serbian government were to contemplate dropping Mr Dodik, that would not go down well with Mr Putin. Therefore, Mr Putin’s support is helpful to Mr Dodik because it keeps his potential loss of legitimacy with the Serbian government in check. Mr Dodik basically remains in power because he has managed to keep Republika Srpska in a state of a frozen territorial conflict – with the help of Serbia and Russia. So, internal legitimacy is irrelevant, external legitimacy is what matters. Although both Serbia and Republika Srpska have both seen recent large-scale protests, Mr Vučić’s case is different from Mr Dodik’s. At the moment, Serbia is in the early stages of a legitimacy crisis. Usually, it is the arrogance of power that triggers the legitimacy crisis. In Republika Srpska, it was the unexplained killing of a young person and then the suppression of the protests led by his parents to hold the government accountable for the murder. In Serbia, it was the beating of one opposition leader by the members or followers of Mr Vučić’s party. Those were the scandalous manifestations of the increasingly repressive and manipulative rule by authoritarian leaders. In response, there are a growing number of people demonstrating against Vučić’s regime in the capital and in towns across the country each Saturday. Demonstrations are planned also for the 16th of January, on the eve of Putin’s visit. So far, the Serbian government has refrained from repressive measures against the demonstrators. Unlike Republika Srpska, it is sensitive about its legitimacy. It is in addition hoping that Mr Putin’s support will be enough to marginalise the dissatisfied population. Mr Putin, for his part, is taking the extraordinary step of personally supporting Vučić and his government by visiting the country, something he has not done before in the Balkans in any case. He and Mr Vučić clearly hope that he can lend his legitimacy to the embattled Serbian leader. Will Mr Vučić be successful? Whether or not the protests in Serbia intensify depends on the international balance of power, which is to say on the position taken by the EU and the US. Their stance depends on their expectations of Mr Vučić’s intentions when it comes to the solution of the Kosovo problem. Ostensibly, Mr Vučić wants to come through with the promise that got him the EU support when he was coming to power in 2012 – an agreement on the normalisation of relations with Kosovo which has been understood, by German Chancellor Angela Merkel in particular, as a legally binding treaty which removes the obstacle for Kosovo’s membership in international organisations, in the UN most importantly. Currently, Mr Vučić’s goal is to wiggle out of that commitment, risking his international legitimacy. He is banking on three conditions. One is the opposition’s growing anti-EU stance. The opposition believe that Mr Vučić is kept in power by the EU and more specifically by Germany. Therefore, they are very much behind the curve. However, in all appearances so is the EU, specifically Federica Mogherini, the EU’s High Representative for Foreign Affairs and Security Policy, and Johannes Hahn, the European Commissioner for European Neighbourhood Policy and Enlargement Negotiations . The second condition is the renewed involvement of the US, with their support of the plan for the swap of territories by Serbia and Kosovo. This is a plan that cannot feasibly be implemented, which however dispenses with the previous commitment to normalisation. The third and most important condition is the change of the anchor of international legitimacy from the EU to Russia. This is where Mr Putin’s visit comes in; the visit that should, in addition to shoring up Mr Vučić, also strengthen Mr Dodik’s grip over Republika Srpska. That is the plan at least. Will it work? In the short run, yes. As intended, the time for the implementation of the commitment to Ms Merkel and Ms Mogherini will run out because of the upcoming EU elections. The proposed territorial accommodation will be frustrated by its unpracticality. And, in all probability, Mr Vučić will come ahead in the upcoming early or regular elections, which are due next year. In addition, Mr Dodik will be successful in the repression of the public outcry in Republika Srpska. And Mr Putin will succeed in strengthening authoritarian leaders facing legitimacy crises in the Balkans. The EU will have to come up with an alternative plan or give up. It remains to be seen what the reaction by the US will be. 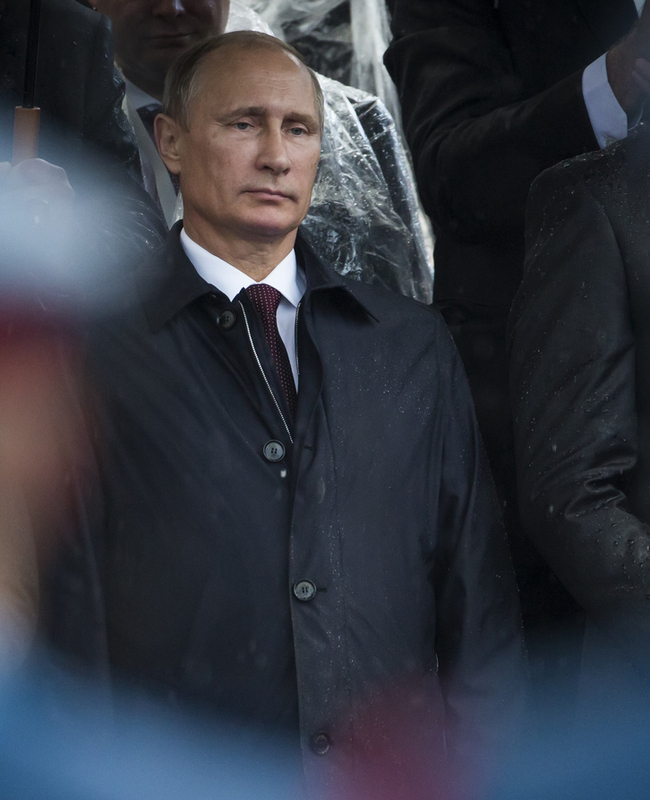 Beyond the short run, however, Mr Putin risks another disappointment. He may prove successful in the short run because of the EU’s lack of commitment to the Balkans and because of the uncertainty about the US intentions with NATO. Once the EU consolidates, if that happens, and more importantly the US commitment to NATO is reinforced, the effects of the permanent lack of internal legitimacy of both Mr Vučić and Mr Dodik will doom them both.